In a new report leaked online, Huawei is speculated to unveil its pair of flagships, P10 and P10 Plus at the Mobile World Congress late this February. 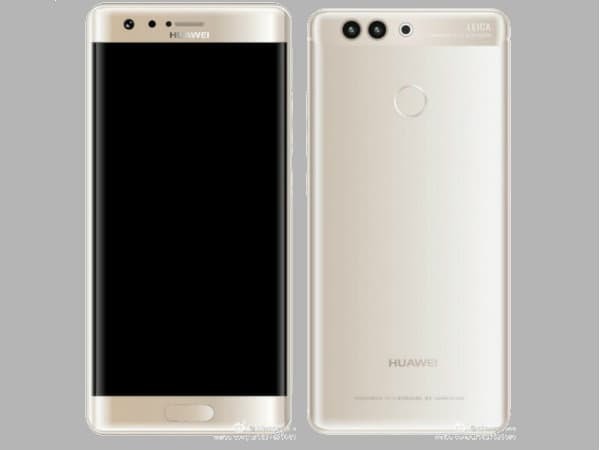 If the Chinese reports surfaced online are to be believed, P10 Plus will have a curved display and a 5.5-inch dimension very much similar to Huawei’s Mate 9 Pro. The device is also expected to come with an iris scanner for biometric authentication powered by Huawei’s own Kirin 965 chipset. The smartphone is anticipated to be available in 6 GB RAM + 128 GB storage and 8 GB RAM + 256 GB storage variants. Both the variants are said to include microSD card slot for further storage expansion. It will be boosted up by a 3,650 mAh battery, running on the latest Android Nougat with EMUI 5.0 layered on top. On the photography front P10 Plus is expected to sport the dual-camera setup at the back with a combination of 12-megapixel sensors that will offer DSLR-like effect in images boasting a ring flash, also seen in the previous black renders. On the front there would be an 8-megapixel camera for selfies and video-calling. The device is also touted to feature Amazon’s voice assistant, Alexa with Google DayDream support. P10 Plus smartphone is presumed to be unveiled at MWC along with the price and other specifications.